India is a country with rich diversification. It is true in several aspects, let be in terms of race, culture, ethnicity, economy and sadly, body weight and nutrition as well. According to obesity surgery doctors, India suffers from a unique malnutrition threat. But before the topic is explored any further, it is vital to understand what the double burden of malnutrition is. Malnutrition was always considered as a synonym for undernutrition in India for a long time. However, the situation has changed drastically with time. Now, malnutrition is spread on both sides of the spectrum. Thus, making both underweight and overweight individual qualify for suffering from malnutrition. In India, the coexistence of underweight along with overweight and obesity is the double burden of malnutrition. Though it may seem like an ideal solution for the same, in reality, it complicates the matter even further. In India, it possesses some serious threat to the overall status of health and nutrition. One hand, there are is a considerable proportion of the population of India who is underweight and suffers serious malnutrition. On the other hand, a huge population of India also suffers from obesity. Thus, the problem of obesity is equally serious as that of underweight. Earlier, the underweight population used to restrict in the poorer parts of the country and the obese population in the richer parts of the country. However, now the situation is changing gradually. It is now more challenging to trace the same. Malnutrition, these days knows no geographic boundary or economic strata as a matter of fact. If we compare statistics, earlier the count of underweight was approximately three times the number of obese. In the current situation, this data has almost come to a balance, making an equal share in terms of statistics. This is particularly true for women, as they seem to get affected by both ends of the spectrum as compared to men. In fact, obesity surgery doctor even recommends women to take better care of themselves for the exact same reason. Taking proper measures at right time can help them live and lead a healthy life without being labeled into any of the categories of underweight and overweight. Even though none of the malnutrition statuses is recommended by obesity surgery doctor all across the world, there is no argument that addressing and curing malnutrition is much easier than the other counterpart. Thus, every individual is recommended to do everything they can to mitigate any of these situations. The taste of cheese is loved by many people. However, people believe that eating cheese makes them fat. Although this fact remains true, but some variants of the dairy product help you to keep your waistline in check. There are a variety of this product like Cheddar, Parmesan, Gouda, Mozzarella, Feta, Swiss, Paneer, and many more. There are hundreds of variants of this dairy product. Various variants have various health benefits which are unknown to humans, but overall there are some health benefits which mostly all cheeses provide. Let’s take a look at 7 awesome benefits of cheese Benefits of cheeseGet to know the health benefits of cheese when added in your diet. Good for teeth One of the most important benefits of cheese is that it is very beneficial for maintaining teeth health. The calcium content in the dairy product is very high and thus is extremely beneficial for teeth. As you may have heard many times, sugars are harmful for your teeth, this dairy product contains low amount of lactose (milk sugar) and thus works as a cavity preventor. Consuming variants like Blue, Brie, Cheddar, Swiss, Gouda, etc in the morning also prevents tooth decay. Good for bones As mentioned, this product contains high contents of calcium. Actually, different variants contain different amount of the nutrient, but overall the content is extremely high. Not only calcium but the added benefit of cheese is that it is also high in vitamin B. Vitamin B is extremely essential for aged people, small children, pregnant women and lactating mothers to maintain the bone health.This nutrient also helps in absorbing and distributing the calcium. Good for maintaining weight: The dairy product contains good bacteria. Good bacteria is necessary to boost metabolism and also digestion. Many variants also contain butyrate. Butyrate is also known to boost the metabolism in human body. Many people think that fats are harmful to their body. However, up to a certain extent fats are important to develop muscles. They also provide energy to the body. Natural fats also ensure that you feel full for more time and keep hunger pangs at bay. This keeps you from munching on all the bad fats every now and then. Build muscles One more benefit of cheese includes maintenance of muscle health. The dairy product is also protein packed. Proteins are the building blocks of muscles and thus the protein content helps in the building of muscle mass. The natural nutrient is better than the enhanced protein powders. Good for hair Almost all variants are rich in proteins. Especially, the low-fat cottage cheese, when included in your regular diet provides you with great amounts of protein and calcium. These nutrients are beneficial for hair and thus, consumption of cheese on a regular basis is good for hair health. Good dairy option for lactose intolerant The older the cheese, the lower is the lactose content in it. Especially hard cheeses have a lower content of lactose. Thus people suffering from lactose intolerance can also get the benefits of dairy products, especially calcium. Keeps depression at bay Looking at today’s condition, these benefits should be considered as the most important one. Firstly, the product is said to stimulate sleep. It contains an amino acid, called tyrosine. Tyrosine, when broken down in the body makes us feel happy, content.Also, cheese is said to help our brain release dopamine, which is a natural feel- good chemical. So, stay away from all the rumors. Do not cut out from the important foodstuffs just because there are some saying related to it. You do not gain weight or lose weight because you eat something. The gain and loss totally depends on how many calories you consume and how many you burn. So eat healthy and stay fit. The Paleo diet is a modern diet that includes foods that will consume in the age of ancient stone age where humanity was a hunter-collectors. The study has developed this diet claims that it reduces several types of diseases and weight problems opportunities. If you are willing in following this diet, you will control your consumption of certain foods. So what can you eat on the diet paleo? Weight loss program is the standard paleo which involves eating foods that could consume in the age of the old stone age when people were a hunter-gatherers plan. Researchers who have put the diet plan claim that it reduces the risk of different types of health problems and obesity. If you are willing in following this diet, you are restricting your intake of certain foods. So what can you eat on the diet paleo? Foods to Eat The program includes foods rich in paleo protein diets. Meat and meat of all types, but the meat that herbs such as antelope, deer, and buffalo fed are particularly useful (they are smaller and closer to the kinds of meat that people can be, Age of stone, came). Fish and seafood, lots of protein also provide healthy omega-3s. It recommended to vegetables and fruits on a diet paleo. Fiber from the list of plant foods renews other carbohydrates such as cereals. Root vegetables that are loaded, especially with fiber include carrots, beets, turnips, Rutabagas. Fruits and vegetables have some vitamins. It also provides nut protein and healthy seeds and fats, such as essential fatty acids. Almonds, walnuts, macadamia nuts, cashew nuts are excellent choices. Sunflower seeds, pumpkin seeds, and flaxseed all provide protein. Eggs offer the paleo diet because of protein and essential amino acids. The eggs also contain some essential vitamin B12 supplements such as B6, vitamin A, riboflavin, folic acid, iron, and calcium. Oils are healthy fats include for example essential olive oil, walnut oil, avocado and coconut oil in the diet paleo. What You Should Not Eat on the Paleo Diet Diet does not include paleo just like wheat or oat grain. Beans and peanuts excluded. It does not allow dairy products, including milk, yogurt, sour cream, cheese and ice cream. Unhealthy foods of all kinds and refined sugar, as well as salt and potatoes, are not part of the diet paleo. The health benefits of a diet and paste paleo Many areas of the Paleo diet contribute to better health. The exclusion of refined sugar and refined food reduces sodium intake and calories. Processed foods frequently contain many food additives and chemical compounds that might be hazardous. The inclusion of fruits and veggies can also bring about better health, Since these foods Contain a lot of minerals and vitamins, and fill, which usually contributes to a low-calorie diet. The omission of cereals and focus on the meat is controversial among scientists. Some fear that increasing intake of fat adds to heart problems. Although the diet determines the herbs of feeding meat, the average consumer can not find that the flesh is readily available. There are fewer dairy and grain products feared that some people would not get natural vitamins and fiber these types of food contain. Population in the paleo diet program that focused entirely on meat products and not enough fruits and vegetables can find that they earn pounds on this diet. 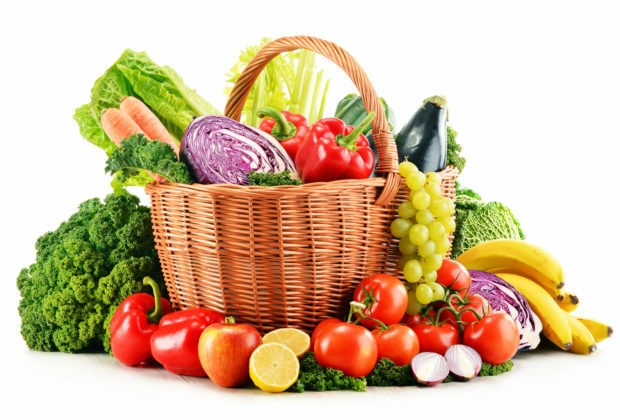 Enjoy A Healthy lifestyle With Variety Of Vegetables Many people are unsure how to use vegetables more effectively as part of their diet, but it may be easier than you think to provide yourself and your family with healthy, nutritious meals at great prices! One way to create wonderful meals that are healthier than ever is to take a stroll through the produce section of your local grocery store. Most major grocery store chains have huge produce sections, containing a wonderful variety of fruits and vegetables from all corners of the world. Trying a variety of different fruits and vegetables is a great way to keep your meals interesting and exciting in addition to nutritious. It is all too easy to become bored when trying to follow a healthy diet, and boredom can lead people to abandon their healthy habits. Avoiding diet burnout is important to the long-term survival of even the most sensible eating plan. So if you’ve never had vegetables like collard greens, asparagus or kale before, why not give them a try. Not only can trying new things allow you to make great new discoveries, but it can increase your level of fitness as well. Leafy green vegetables like spinach, broccoli, and kale are rich sources of many important vitamins, minerals, and other micronutrients. Another great way to increase the variety of vegetables you enjoy is to combine fresh, frozen and canned vegetables. 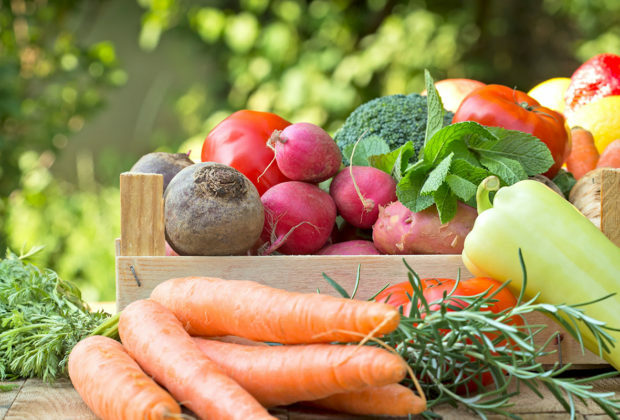 While fresh vegetables are generally better and healthier, frozen and canned vegetables can be great alternatives for when the fresh varieties are out of season. One of the best things about fresh fruits and vegetables is the great variety of flavors, colors, and textures available. 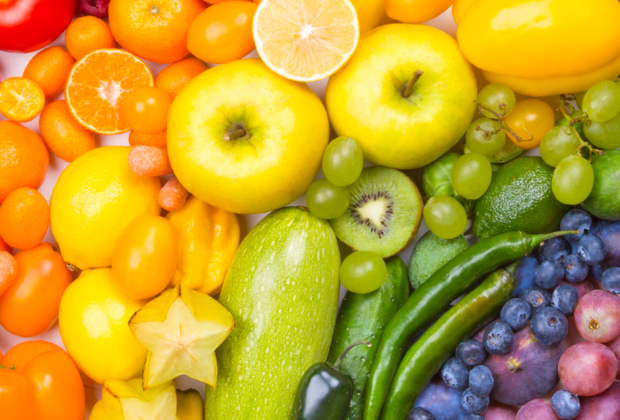 Eating a variety of different colored vegetables and fruits does much more than provide much-needed variety. It also provides a great variety of nutrients. For instance, yellow and orange fruits and vegetables tend to be very high in beta carotene, while green leafy vegetables are often great sources of calcium and other important nutrients. So why not spice up your plain old green salad with a splash of color in the form of yellow peppers or orange carrot slices? Many people wrongly think that they can make up for a crappy diet by using vitamin and mineral supplements. This mistaken belief is apparently very widespread since sales of these supplements continue to break records. 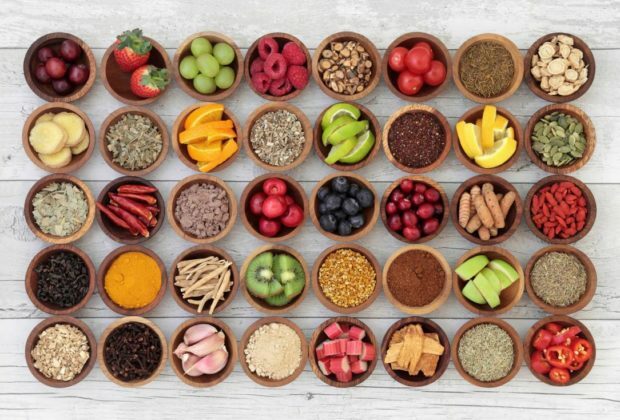 When considering vitamin and mineral supplements, however, it is important to remember that foods contain many different minerals, trace elements, and other micronutrients. That means that for every nutrient that has been discovered and synthesized, there may be ten, twenty or more of these micronutrients that have yet to be fully understood. That is why no vitamin supplement, no matter how complete, can truly replace a healthy, balanced diet. In addition, vitamin and mineral supplements are quite a bit more expensive than a good selection of vegetables and fruits, and not nearly as tasty. 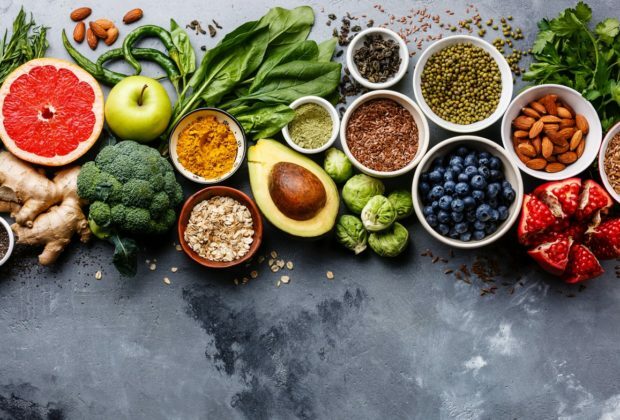 When changing your diet and eating for a healthier lifestyle, it is important to educate yourself about eating right and go choose the right fruits and vegetables for your tastes. After all, the best diet is the one you can follow for the rest of your life. 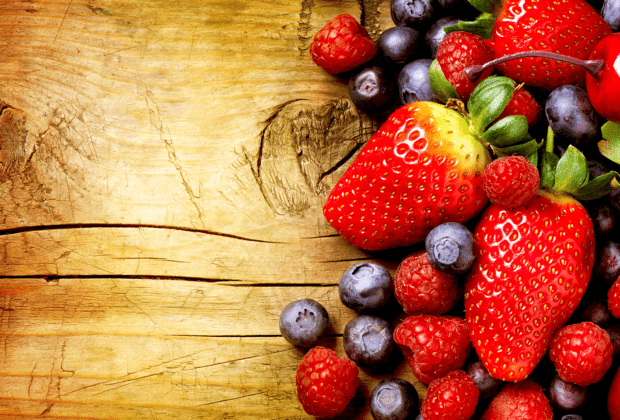 One of the best ways to start eating a healthy diet is to choose the freshest fruits and vegetables. Not only do fresh fruits and vegetables taste better, but they are less expensive and more nutritious as well. 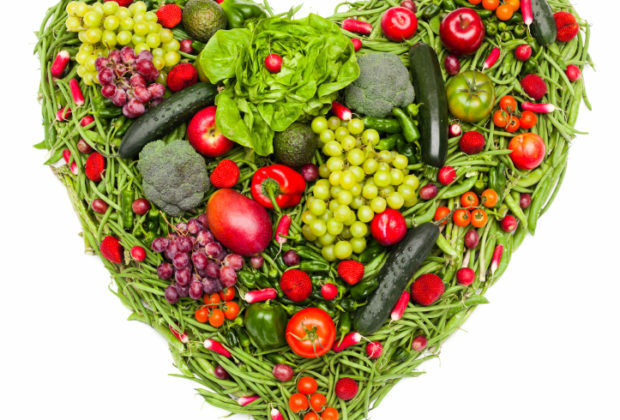 Choosing a variety of in-season fruits and vegetables every week is a great way to enjoy healthy and varied meals. 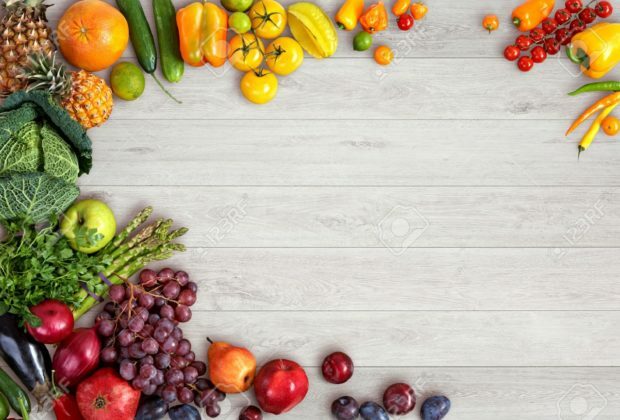 Of course, your favorite fruits and vegetables will not always be in season, so it will sometimes be necessary to supplement those fresh fruits and vegetables with canned and frozen varieties. When choosing canned fruits, try to avoid those packed in syrup; choose canned fruits packed in fruit juice or water instead. They will be healthier and contain less sugar. Adding fresh fruit, such as apple slices, mandarin oranges, nectarines and the like is a great way to make plain salads more interesting and more delicious. The market of energy bars in India is still in its nascent stages. In the westerns countries people are more aware of consuming these products. However, in India the cities which follow a very cosmopolitan lifestyle are adapting to these products to fulfil their energy and nutritional demands. In this fast and busy lifestyle people hardly find time to take snack breaks. Following are some of the reasons why more and more people are shifting towards energy bars and nutrition bars: Lack of time to take snacks Low availability of healthy and hygienic food nearby People want to grab a bite on the go In the modern world there are a lot of lifestyle illnesses such as obesity and diabeties, to prevent these it is very much required to pay a lot of attention towards what to eat. In modern cities people have become more health conscious / calorie conscious. There is a lot of hype in the media which is spreading awareness amongst the youth who wants to stay fir and look young. Consuming fast food each day is not healthy however there is a craving for its taste. The energy bars brands have realised this thing and have come up with a healthy solutions which is like a win-win deal for the consumers as they do not miss the taste of the street food as well as with energy bars they can pay attention towards their health and improve it. These are best health wise and taste wise as well. Aforementioned are some of the reasons why people in India are moving towards the purchase of energy bars and nutrition bars. Following are some of the ingredients which are included in the nutrition bars which you can look out for: Oats, Fructo-oligosaccharides (Prebiotic fibre), rise crispy, dark chocolate chips & cream, (Cocoa Solids, Edible vegetable fat, sugar, dextrose, Soy Lecithin), Almond Peanut Butter Paste, Honey, Quinoa Seeds, Casein, Chia seeds, pumpkin seeds, palm kernel oil, salt, edible gum (INS 412), Preservatives (E201), Vitamin E, Flavour (Roasted Peanuts, Butter). There are also permitted class II preservatives and food flavours. The consumers must make sure that they go through the ingredients before they consume the energy bar as these products come with the disclaimer that anyone who is allergic to any of the ingredients included in the pack should not consume it. Customers generally ignore the text on the pack and do follow the guidelines such as storing the energy bars in a cool and dry place. There are many more ingredients which are allowed in the energy bars which include black dates, almonds, dehydrated fruit natural flavours, oats, pumpkin seeds, sunflower seeds, ginger powder, salt, vitamin E, preservatives (E202), Flavours. Hope this article helps the readers and makes them more health conscious and helps them stay fit. The granola bars are a better source of energy as compared to the processed energy bars as the body is designed to consume the nutrients which are available in their natural form in nature. The changing lifestyle at offices which has made people like robots who sit still 10 hours in front of the computer and getting the work done and when they are not working they resort to gadgets like their mobile phones and tablets for entertainment and games. In this highly virtual world there is very little bandwidth which is reaming for the tasks which involve physical exertion. All these habits of not being physically active are making people susceptible to what is known as the lifestyle disease called obesity. So, there is only less a person can do in order to change his/her lifestyle all of a sudden as that would involve quitting his or her job and looking out for new career options which is more health friends and they can after work dedicate time for the daily workouts. All that being said, there is still scope for taking care of your body by watching what you are eating, hence, by following healthy eating habits one can control the amount of calorie intake and avoid abnormalities like obesity and being overweight. Now the question arises what are the products that are available in the market that fit in to the requirements of the modern day lifestyle. It is very important for the eatables to evolve and for them to evolve hand in hand with the change of lifestyle. Let us have a look at the various factors which should be there in the modern day food. It should be low on unhealthy fats which lead to weight gain. High fibre content so that it helps improve the digestion Food rich with vitamins which boosts the immunity of the body The food should be categorised as a complete balanced diet The food should be storable hence should contain only the permissible preservatives Added flavours which are allowed by the food and beverage authority should only be used The packaging of the food should be proper so that it is portable and easily consumable on the go. Should be compact packed so that it is convenient for the people to carry it with them to work or while travel. Should be able to provide the amount of energy which is required for the day to day activities and keep them active all day. It is preferable that source of energy should be made of natural ingredients as the body is more sued to consuming them in that form. Considering all the aforementioned properties that foods for the modern day must have there are a lot of brands in the market who are providing the products which are the need of the hour. Some of them include the nutrition bars or the energy bars (granola energy bars) which are easily available on major e-commerce platforms are the best resort for people looking out for modern day solutions to avoid health issues like malnutrition and obesity. For the people we suggest to go online and search for products such as nutrition bars and online in India as there are many suppliers who sell the products which are good quality manufactured in India. There is a need to spread awareness about the products such as weight loss energy bars which are available online. There is still hope left for the people who want to make a difference in the health. PUFA (Poly Unsaturated Fatty Acids) MUFA (Mono Unsaturated Fatty Acids) (Pronounced as Moo-fah) Protein Dietary Fiber It is not recommended to have the following in your protein bar. Read the nutrition facts of the protein bar that you are having in case your nutrition bar is having quantities of any of these, remember that it is not advisable to consume quantities of these. One more thing I would like to mention is that nothing is harmful if taken in limited quantities which are present in the natural granola ingredients. As they are present in their natural form limited consumption of these items are not harmful: Refined Sugar Added Sugar Cholesterol Transfat Gluten There is another food fad or a myth that people follow that natural sugar in the granola bars in harmful for health however the one which is harmful is the added sugar. The amount of carb in the granola bars is always more than the protein composition which is present in the bars this is because the carbohydrates are the source of the immediate energy source which the body uses for its day to day activities. So it is perfectly fine to have a larger amount of carbs in your bar compared to the protein, fats, or dietary fiber. Talking about fiber it is not digestible by the body however it plays a very crucial role in the process of digestion. Hence have as much fire as possible for a healthy digestive system which reflects on the performance of your overall metabolism. The child nutrition is based on the same principles of adult nutrition. We all require the same type of nutrients such as carbohydrates, minerals, protein, fat, and vitamins. At different ages, kids need different amounts of nutrients. Therefore, it is important for you to understand what nutrition is. Nutrition encompasses all the food and drinks consumed by your kid. The body of your kid uses the nutrients from the food they consume to stay healthy and function properly. 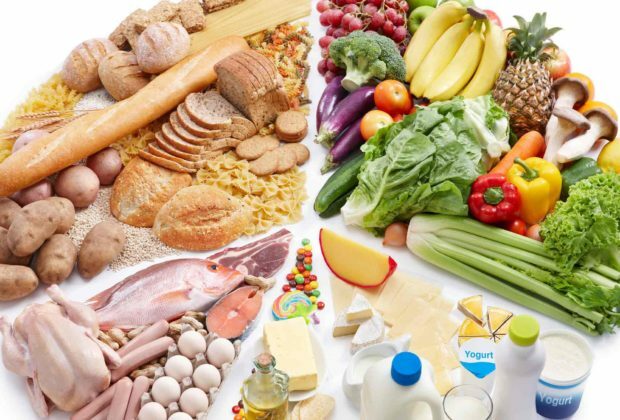 Nutrients include vitamins, minerals, fats, proteins, and carbohydrates. When they have the right amounts of nutrients, it makes them grow, learn, and be active. Your kids require some amount of calories to develop and grow. These calories are the amount of energy contained in the foods and drinks they consume Why is proper nutrition important? The negative impact of poor nutrition includes obesity, overweight, and other health problems. Some of the health problems connected with poor nutrition can be severe, mostly as your kids grow into an adult. Educating your kids on the importance of healthy eating habit can help in preventing these health problems. What then is the best formula to help in your kids’ development and growth? Why not try this child nutrition, which is based on the latest dietary guidelines. Consider these nutrient-dense foods: • Protein: Select lean meat, eggs, peas, seafood, soy products, poultry, and unsalted nuts and seeds. • Fruits: Motivate your kids to eat a different kind of fresh, frozen, canned, or dried fruits. Perhaps your kid loves taking juice, ensure it is 100 percent juice without any added sugars. Keep in mind that one-half cup of dried fruit counts as one cup equivalent of fruit. When consumed in excess, dried fruits can contribute extra calories. • Vegetables. Serve a variety of fresh, canned, frozen or dried vegetables. Aim to provide a variety of vegetables, including dark green, red and orange, beans and peas, starchy and others, each week. When selecting canned or frozen vegetables, look for options lower in sodium. • Grains. Choose whole grains, such as whole-wheat bread, oatmeal, popcorn, quinoa, or brown or wild rice. Limit refined grains. • Dairy. Encourage your child to eat and drink fat-free or low-fat dairy products, such as milk, yogurt, cheese or fortified soy beverages. Limit the following calories from your child Added sugar: You should minimize your intake of sugar. Naturally occurring sugars, such as those in fruit and milk, are not added sugars. Examples of added sugars include brown sugar, corn sweetener, corn syrup, honey, and others. Saturated and trans fats: Reduce your intake of saturated fats. These come from animal sources including poultry, red meat, and full-fat dairy products. There are different pediasure for kids and you should look for ways in replacing your saturated fats with nut oils and vegetable. This provides vitamin E and essential fatty acids. 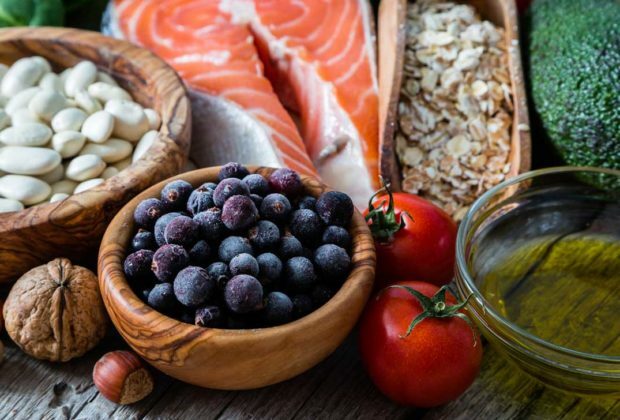 Healthier fats are presently naturally in nuts, seafood, olives, and avocados. Like protein shakes, lassi is helpful for gym-lovers to build their muscles. Lassi is a North Indian drink which is generally consumed after any meal. It provides many benefits to a human body and thus, is recommended to many. As it is made from milk, it contains all the benefits that milk provides, for obvious reasons. There are many other benefits of dairy beverage which you should know. Take a look at 5 reasons why Gym-lovers should prefer lassi over any other protein drink: Lassi Over Protein Shake Protein: The first reason why every gym-lover should prefer lassi is because very milk product contains a good amount of protein and so does lassi. The nutrient basically handles the wear and tear of the body. It is used to repair muscles and is an important component in every cell of a human body. It acts as a building block of tissues, bones, cartilage, skin, blood, hair and nails. This is the reason why many cosmetics are enriched by using proteins. Many other nutrients like fats and carbohydrates are stored in the body, but proteins aren’t and thus there is a need of a regular supply of protein. Enzymes, hormones and other body chemicals are generated by the use of this nutrient. Muscle Mass: The presence of protein in the dairy beverage also helps to improve your muscle mass. You may have seen bodybuilders consuming protein shakes every now and then. However, the the nutrient content in lassi makes it a good alternate to those shakes. The actual reason for this is that protein contains amino acids and amino acids are the building blocks of muscles. When there is a deficiency of protein, the body uses your muscles to create energy. Thus, there should be a regular intake of protein to handle the wear and tear of the body. Energy: Lassi proves to be a perfect refreshers when your energy levels are down. Bodybuilders can use this beverage to refresh their bodies. The beverage contains many nutrients like potassium, calcium and vitamins. Unlike the protein shakes, which provide only one nutrient, this dairy product gives you a variety of nutrients. Bone health: Being a milk product, it also contains a good amount of calcium. Calcium helps to create healthy bones as bones are the storage place for the calcium. Moreover, vitamin D helps to absorb the calcium in the body. Unlike, many other nutrients, body cannot generate calcium. It should come from your daily meals. If the intake isn’t high enough, it can cause your bones to go weak. Gym-lovers exercise on a daily basis. Vigorous exercising may damage bones after a certain time period. Thus consuming enough calcium should be their preference to keep their body and bones healthy. This beverage, thus, ensures that your body gets enough material to keep bones and teeth healthy and also keep you fit. De-stressing your body: People who go to gym, exercise on a regular basis. Although, exercising is good for body, but it may cause certain damage if done excessively. After workouts, body may lose many important nutrients and minerals. Replenishing them as soon as you are done with your rigorous workout is very important. This is where the dairy based product comes in. it contains many nutrients and helps the body to destress after workouts. It is also probiotic which means it causes the number of ‘good’ bacteria to grow in the gut and thus improves digestion and also the immune system. So, instead of going for a beverage which only provides your body with one nutrient, it is better to consume something which gives you many more benefits than just one. It’s time to switch your same old boring shakes with something exciting, tasty and nutritional. Eat healthy, stay healthy.